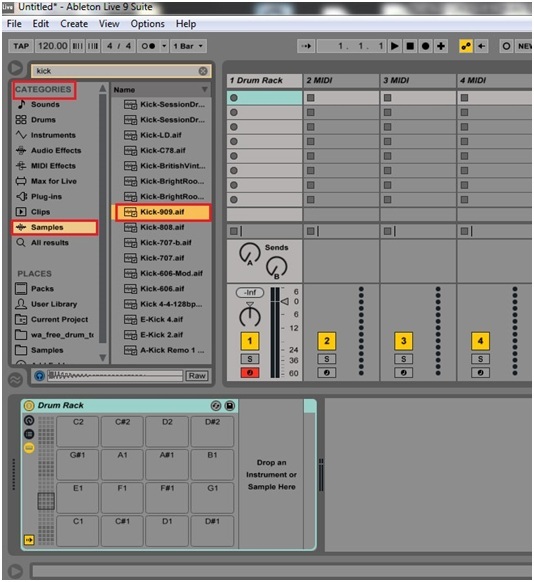 This is one of the incredible features of Ableton Live: the possibility of creating your own drum rack, fully customized and mapped. 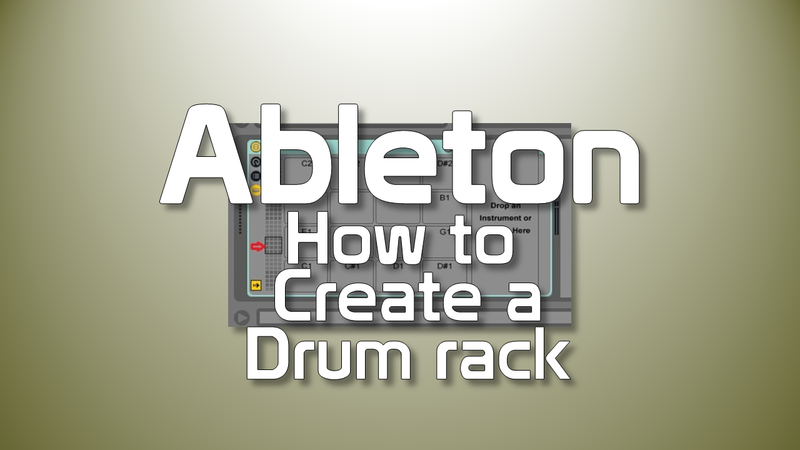 In this tutorial we are going to learn the basic steps for building a drum rack and also saving as an instrument in the User Library. It means that this custom drum rack can be used in all future productions as well. A drum rack is an Instrument in Live’s components. It has slots where the samples are set. Each slot corresponds to a key on the keyboard or any assignable button of a midi controller. 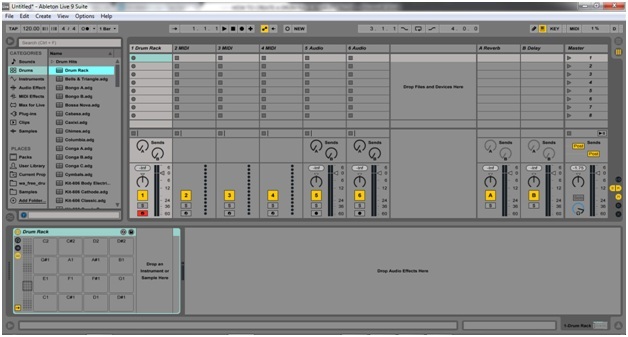 Once a sample is stored in a slot, you can add effects and map them to real-time control. 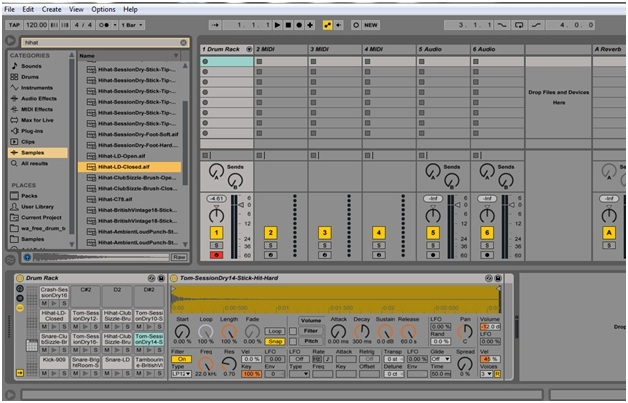 You can use samples from Live’s Packs or even from a sample library. 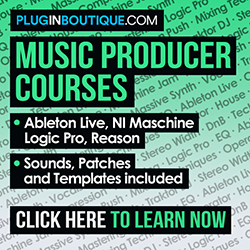 Any WAV, AIF or even mp3 audio sample can be stored in a Drum Rack. You decide it. 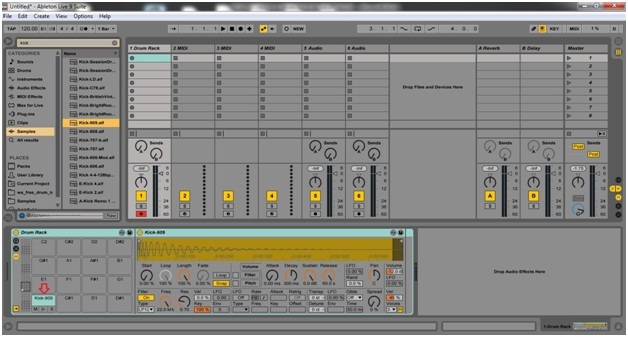 That said, let’s learn how to create a drum rack. P.S. : Although we are going to handle audio samples, a drum rack is a midi instrument. 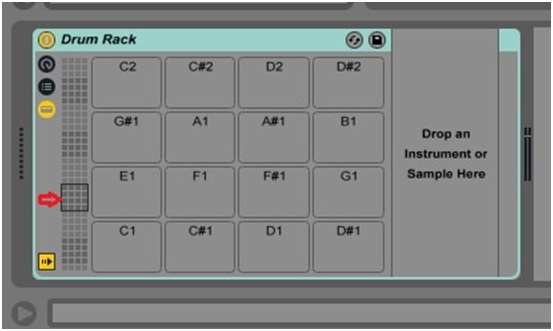 The drum rack screen displays 16 slots at a time. There are many more! Just move up or down the little square in the column at the left and more slots will be available. You can set the parameters in the Simpler at your needs. P.S. : Usually when I record a sample myself, I have to set the start point of the sound, to make it sound without a delay. That’s it! 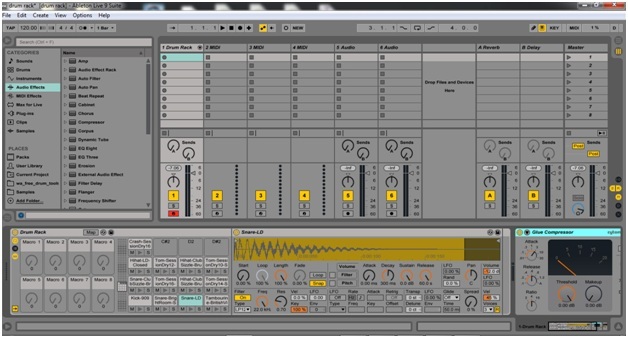 Building drum racks is an efficient way to boost the creative process in Ableton Live.